2015 February | Was Mom Wrong? True or False – Chocolate is very harmful to dogs and can even kill them? Years ago, my wife and I took a leisurely stroll with our beloved dog, Cody. The walk was uneventful until Cody came to a dead stop that nearly pulled my arm out of its socket. Since he wasn’t doing his doggy duty, I closely inspected my pet to learn the reason for his odd behavior. 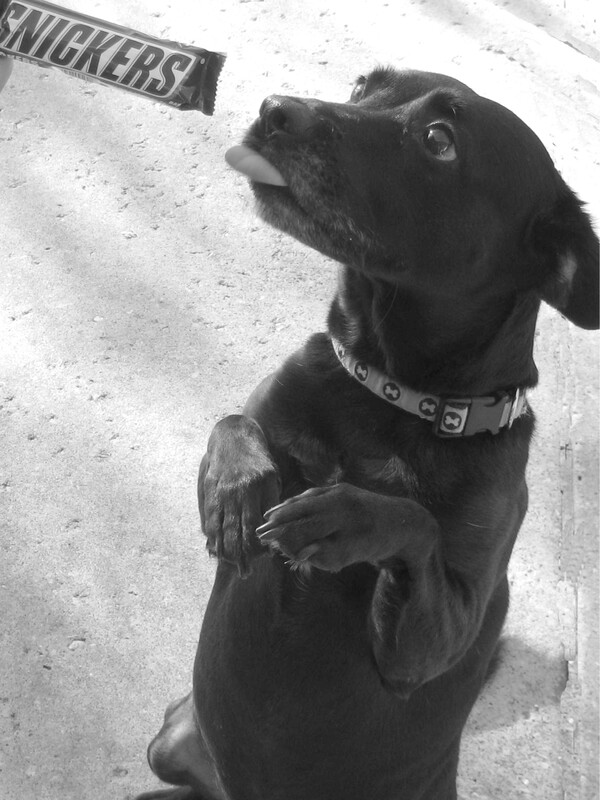 I discovered that he had found a perfectly intact chocolate bon bon on the ground, and was holding it gently in his mouth, head down, indicating that he knew full well that it was forbidden. To make a long story short, my wife was panicked, certain that Cody would die on the spot and Cody was just as desperate to keep his prize. Amazingly, the dog actually forfeited the chocolate after much coaxing, and lived to see another day. While one bon bon may not have actually killed Cody, it is true that chocolate is harmful to dogs in large quantities, and could result in serious health problems or possibly even death. The authors of a short article which appeared in the British Medical Journal (2005) wrote “The potential hazards to humans of eating too much chocolate are well known (obesity and dental caries to name but two), but you may be unaware that chocolate is potentially lethal to dogs”. There is a chemical in chocolate called theobromine, and this is what is so harmful to dogs. Different types of chocolates contain different amounts of theobromine, however. White chocolate contains very little theobromine and is usually not considered to be harmful to canines. Milk chocolate contains 60 mg per oz, semisweet chocolate 160 mg per oz, and bakers chocolate about 450 mg per oz. Consuming theobromine will likely stimulate a dog’s central nervous system and heart as well as increase their blood pressure. Additional negative effects could include vomiting, diarrhea, muscle spasms, excessive panting, and increased urination. 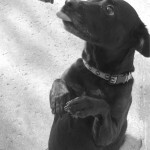 If you have a dog that consumes chocolate, the best thing to do would be to call your veterinarian immediately. True or False – The longer you sit at a slot machine, the greater your odds are of winning? Imagine this scenario; you are in your favorite casino playing your favorite slot machine, you’ve been playing about two and a half hours and just put your last quarter in hoping to hit it big. It didn’t happen and now you’re out $125. You decide to head to the $19.95 all-you-can-eat buffet and drown your sorrows with BBQ ribs, fried chicken, and soft-serve ice cream. On your way to the buffet you see the jackpot lights go off on the exact machine you just left. You think, if only I’d have stayed a couple of minutes longer, that jackpot would have been mine. The truth is that even if you would have stayed at the slot machine, you likely wouldn’t have hit the jackpot. 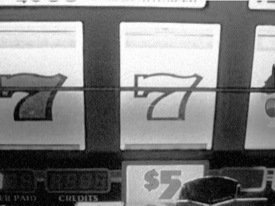 Today’s slot machines use random number generators for the symbol combinations, so they are always changing; it is not possible to just “wait a machine out”. If that were the case, you could just keep playing until you hit the jackpot. The truth is the odds of hitting a jackpot on the 3rd spin are the same as hitting a jackpot on the 30,000th spin. You also might think that if a machine hits a jackpot, it won’t hit another one for some time, also not true; the odds are the same on hitting a jackpot the very next spin. 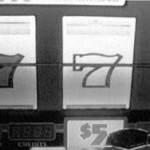 Many people find slot machines fun to play and stimulating. The authors of one study (Yucha 2007) reported that gambling increased physiological variables such at systolic and diastolic blood pressure, heart rate, respiratory rate, and skin temperature. It is understandable how people can get addicted to slots. However, if you’re looking to actually win money at the casino, slots are not a very good bet. Your odds of winning at games like blackjack or craps are actually higher. Many slot machines are programmed to pay out roughly 92%, so for every dollar you put in, you win back on average 92 cents. Good deal for the casino, bad deal for you. True or False – Some red food colorings are made from ground up bugs? The next time you pull out the red food coloring from your cupboards to make frosting for a cake, keep in mind that the food coloring may have been made from ground up bugs. The food colorings carmine and cochineal are in fact made from ground up insects – Dactylopius Coccus bugs. These bugs live on Opuntia Cactus plants in South and Central America. When harvested and dried, roughly 20% of the volume of these insects is carminic acid; this is what is used to create food coloring. The bugs are harvested by scraping them off the cactus or collecting them in small baskets or nests attached to the cactus. It takes about 70,000 bugs to make a pound of coloring! These particular food colorings are sometimes labeled as “natural coloring”, “cochineal extract”, “carmine”, and “artificial coloring” on food labels. 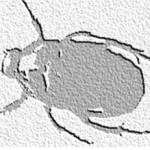 For obvious reasons, food manufacturing companies have made the decision to stay away from adding “crushed bugs” to their ingredients lists. These colorings were used by the Aztecs and other Indian populations in Mexico for a variety of reasons (e.g., food coloring, coloring clothing). Today, cochineal extract and carmine can be found in products like yogurt, candy, fruit juices, and even in cosmetics. These “natural” food colorings have increased in popularity over the past few years as some have suggested links between synthetic food dyes and cancer. 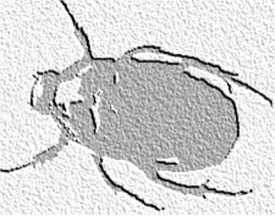 The food colorings derived from bugs are generally considered to be safe, however, Chung et al, (2001) report a number of cases of allergic reactions after individuals consumed carmine, and reference other studies in their paper where carmine ingestion or exposure contributed to asthma, alveolitis, and food allergy. Understandably, certain cultures or groups of people are opposed to eating insects for religious or nutritional reasons, and then of course there is always the “eww” factor. Chung K, Baker J, Baldwin J, Chou A: Identification of carmine allergens among three carmine allergy patients. Allergy (2001), Vol 56, pps. 73-77.